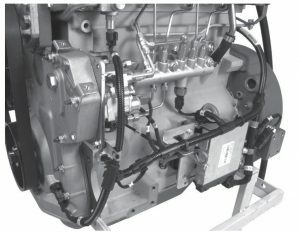 This John Deere PowerTech 4.5L & 6.8L Diesel Engines Level 12 Electronic Fuel System with Stanadyne DE10 Pump Technical Manual (CTM502) is divided into different sections. Each section covers a specific component or system with detailed illustrations. A table of contents is placed at the beginning of each section. Pages are easily found by category, and each page is expandable for great detail. The printer-ready PDF documents work like a charm on all kinds of devices.